Texas Malpractice Insurance. A type of insurance purchased by health care professionals (and sometimes by other types of professionals, such as lawyers). It protects such professionals against potential negligence claims made by their patients and/or employers. Texas malpractice insurance covers bodily injury or property damage as well as liability for personal injury such as mental anguish. This includes the costs of defense and cost containment expenses. Texas malpractice insurance protects your company from negligence claims with rates as low as $67/mo. Get a fast quote and your certificate of insurance now. Is TX Malpractice Insurance Mandatory? There is no legal requirement to have medical malpractice insurance but it's important to protect yourself and your business against events you cannot foresee. Also, in today's society, people are increasingly ready to bring a claim against you if they feel dissatisfied - whether or not you are actually at fault. Claims can run into many thousands if not millions of dollars and having Texas malpractice insurance could be the difference between a business being able to survive a claim or not. When shopping for a TX medical malpractice liability insurance policy, most physicians focus on premium costs. But physicians shopping for a malpractice policy should also focus on getting the right coverage limits. A coverage limit is a provision in a policy under which the insurance company says that it will only pay for losses sustained by the policyholder up to a certain dollar amount. If limits are too low, the physician is needlessly exposed to personal liability. Too high, and the physician is paying for more coverage than needed. 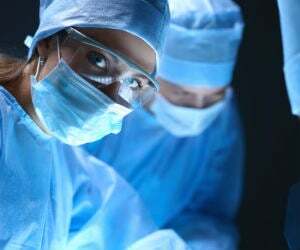 TX malpractice insurance covers several expenses involved in defending and settling the malpractice suit; it also pays the damages if you are found liable. The covered costs include: court costs, attorneys' fees, settlement costs, arbitration costs, and compensatory damages and medical damages. 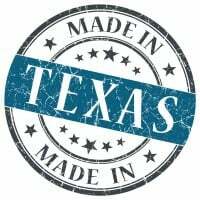 Request a free Texas Malpractice insurance quote in Abilene, Allen, Alvin, Amarillo, Arlington, Austin, Balch Springs, Baytown, Beaumont, Bedford, Benbrook, Big Spring, Brownsville, Bryan, Burleson, Carrollton, Cedar Hill, Cedar Park, Cleburne, College Station, Colleyville, Conroe, Coppell, Copperas Cove, Corpus Christi, Corsicana, Dallas, DeSoto, Deer Park, Del Rio, Denison, Denton, Duncanville, Eagle Pass, Edinburg, El Paso, Euless, Farmers Branch, Flower Mound town, Fort Worth, Friendswood, Frisco, Galveston, Garland, Georgetown, Grand Prairie, Grapevine, Greenville, Haltom City, Harker Heights, Harlingen, Houston, Huntsville, Hurst, Irving, Keller, Kerrville, Killeen, Kingsville, Kyle, La Porte, Lake Jackson, Lancaster, Laredo, League City, Leander, Lewisville, Little Elm, Longview, Lubbock, Lufkin, Mansfield, Marshall, McAllen, McKinney, Mesquite, Midland, Mission, Missouri City, Nacogdoches, New Braunfels, North Richland Hills, Odessa, Paris, Pasadena, Pearland, Pflugerville, Pharr, Plainview, Plano, Port Arthur, Richardson, Rockwall, Rosenberg, Round Rock, Rowlett, Sachse, San Angelo, San Antonio, San Benito, San Juan, San Marcos, Schertz, Seguin, Sherman, Socorro, Southlake, Sugar Land, Temple, Texarkana, Texas City, The Colony, Tyler, University Park, Victoria, Waco, Watauga, Waxahachie, Weatherford, Weslaco, Wichita Falls, Wylie and all other cities in TX - The Lone Star State.